The DV series is designed and built to be highly customisable to accommodate special needs such as larger turning diameter, longer turning stroke, and higher production capacity. 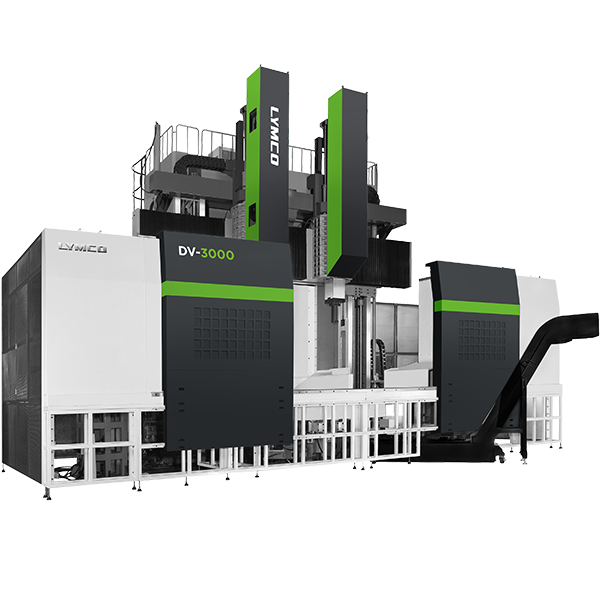 All DV series vertical lathes can be equipped with Y-axis to provide full milling center capacity. Equipped with steel forged ram with 300 x 300mm cross sections to handle heavy applications and delicate cuts alike. Unlimited number of tools with Capto availability. Tool change at any crossrail (W axis) position. Cross-spindle design of hydrostatic pressure rail and cross-tapered roller bearings. Multi-tasking live tooling system is configured with standard optical scale on C axis to provide excellent milling, drilling, tapping, and threading performance. Enabled by Y-axis capacity combined with automatic milling heads allow highly flexible job assignment.